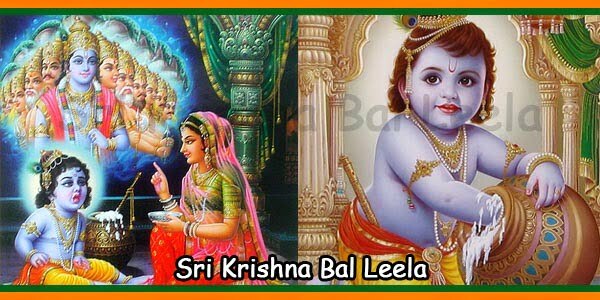 Janmashtami is generally celebrated over a period of two days. While some people celebrate it after midnight when the Lord is said to have been born, others celebrate the festival on the first day before midnight. 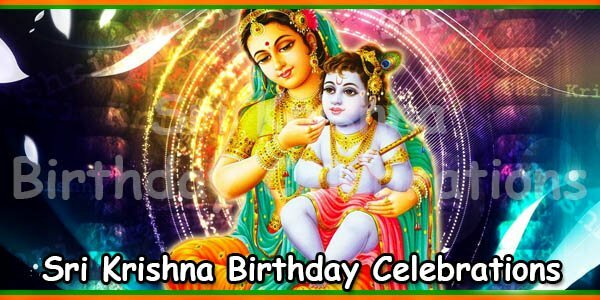 Lord Krishna was born during midnight when it was raining heavily. 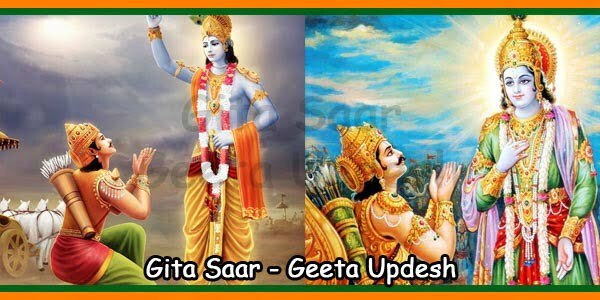 This occurred around 5000 years ago in Dwapur Yug. 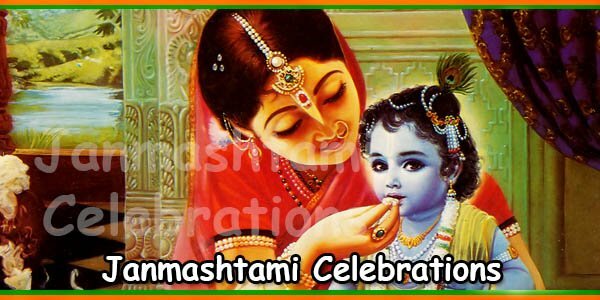 The festivities of Janmashtami are at its peak at this time. During midnight, Lord Krishna is welcomed by the blowing of Shankh [conch]. Arti is performed by Pujari [Brahmins] of the temple. The temple echoes with slogans like ‘Jai Shri Krishna’. The devotees shower flowers on the idol of Bhagwan Krishna. This is followed by the ceremony of giving Abhishek [holy bath] to Lord Krishna with Panchamrit. This is a mixture of Gangajal, honey, sugar, ghee and curd. Later this mixture is distributed as ‘Prasad’ among the devotees. The Lord is cleaned after he is offered food. 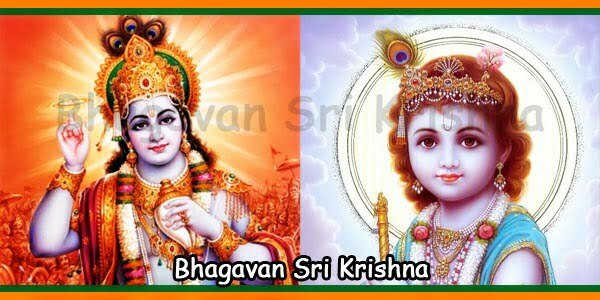 There are some temples that offer ‘Chappan bhog’ [Bhog of 56 dishes] to Lord Krishna. Meanwhile, other temples offer as many as 108 dishes to the Lord. 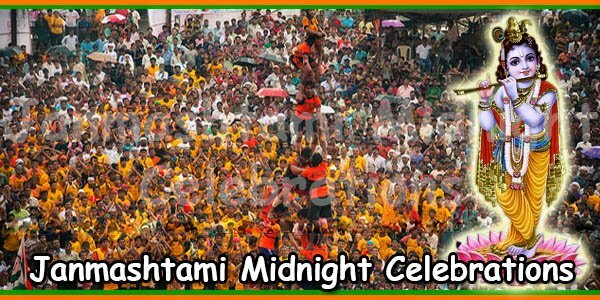 During midnight, the most important ceremony that takes place is the rocking of Lord Krishna’s cradle. Devotees believe that while rocking the Lord’s cradle when a wish is made; it comes true. Devotees pour into the temple from all over to welcome their beloved Bal Gopal. 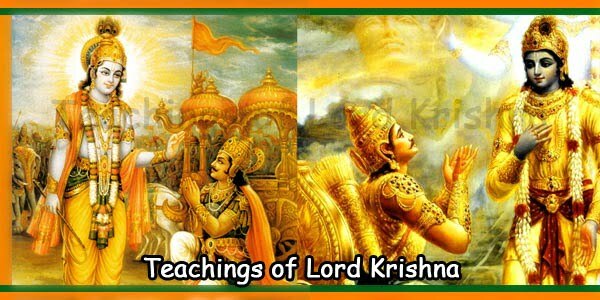 Birth of Lord Krishna takes place amidst singing of devotional songs in praise of the Lord. This continues for a period of 1-2 hours. The devotees break their fast after the midnight puja has completed.